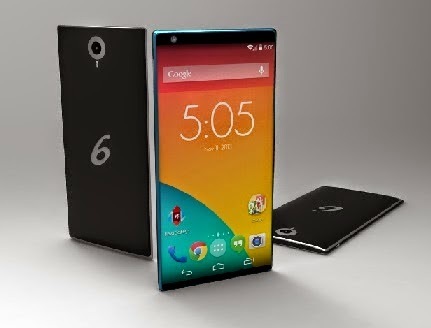 The industry is a buzz with rumors on upcoming Smartphones. One of them is LG G3, the other one is Google Nexus 6. The rumor mill seems to produce new rumors on these devices everyday, more so because LG is said to be the manufacturer of Nexus 6. Samsung Galaxy S5, HTC One M8 and iPhone 6 will also release in this year. The whole attention is currently on Nexus 6 and G3. Rumors on LG G3 hinted that Nexus 6 could have design and features similar to G3. As those rumors somewhat undermined Nexus 6, industry observers dug deep and came to the decision that Nexus 6 will have some independent features which are quite interesting. One should keep in mind that chief competitors of Nexus 6 will be Apple iPhone 6, Samsung Galaxy S5 and HTC One M8. Google therefore, needs to equip its next Nexus device impeccably so it could take those competitors. Some of the features that industry sources expect in Nexus 6 are stunning display, Smartwatch extension and Android 4.5. The display of Nexus 6 will be highly similar to LG G3. Some sourced reported Nexus 6 will have a 6.3 inch screen with Quad HD display. Nexus 6 could have 2560 x 1440 resolution display, same as G3. Moreover, as Google's Chromecast TV dongle enables users to view live streaming of web content in television, some are even speculating that Nexus 6 will allow users to view internet based content on their handset. It's not a far-fetch speculation because Chromecast TV is Google's own product and this is a golden opportunity for Google to market it. Besides, the 2K resolution of Nexus 6'S screen is perfect to watch live streaming. There is possibility that Nexus 6 releases with Smartwatch. LG and Motorola are two companies behind manufacturing Smartwatch. While Motorola is owned by Lenovo now, there will be not be changes in the product lineup that are scheduled to release. LG on the other hand is the manufacturing partner with Google to build Nexus 6. Some analysts held Google's basic idea was to surprise users with a Smartwatch that acts as a remote controller for mobile phone as well. Nexus 6 is likely to feature a new Android OS. Google may update Android 4.4 KitKat. If that happens, Nexus 6 might release with the updated Android version. According to some, it will be Android 4.5 Lolipop or Lion Bar. There is another possibility although not much likely. Nexus 6 may release with Android 5.0 Key Lime Pie. However, there hasn't been any indication from any corner that this will happen. The release date of Nexus 6 is not yet decided. Sundar Pichai, the VP of Google's Android division earlier said Nexus 6 could be released in October this year. A late Q3 or early Q4 release date is quite likely as by the same time, other competitor devices will also show up. During this year's MWC, Mr. Pichai made it clear that Nexus 6 is not coming in the first half of this year. This year's Google I/O is where Nexus 6 could be showcased for the first time and we will get to know all the specs of the device. However if the rumors turn true, with a 6.3 inch screen, 3GB RAM, 16MP rear camera and new version of Android, Nexus could easily set new records. There's no doubt of it.